Concerned citizen of the world. Dustin joined Watsi on February 18th, 2016. 92 other people also joined Watsi on that day! Dustin's most recent donation traveled 8,200 miles to support Ahimbisibwe, a woman from Uganda, to fund gynecological surgery. Dustin has funded healthcare for 50 patients in 7 countries. Srey Nin is a vegetable vendor from Cambodia. She has one daughter. She likes to watch TV and listen to classical music. 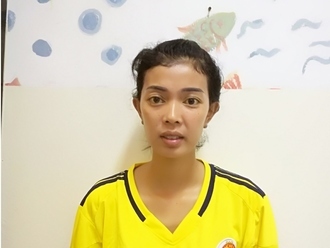 Nine months ago, Srey Nin was in a motor vehicle accident that caused a fracture in her right tibia. It is difficult for her to walk, and she is in chronic pain. Fortunately, surgeons at our medical partner, Children's Surgical Centre, can help. On December 10, Srey Nin will undergo a fracture repair procedure, which will cost $430. This procedure will help her walk easily again. She says, "After the operation, I hope I can walk well and have no more pain." Mary is a 79-year-old woman from Kenya. She lives with her husband, and their six children take care of them. All of their children are married and have their own families. 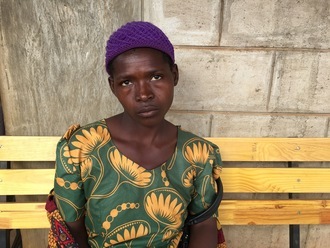 Mary used to be a farmer, but is not able to farm currently due to vision loss. Mary has been experiencing vision problems for a while. Five months ago, she went to a local clinic, where she complained of blurry vision. They prescribed her eye drops, but her vision did not improve. In August, Mary visited our medical partner's care center. Upon consultation with the ophthalmologist, she was diagnosed with a cataract and surgery was recommended. 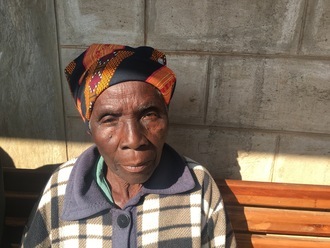 On August 28, Mary will undergo cataract surgery. 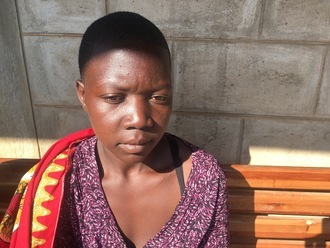 Our medical partner, African Mission Healthcare Foundation, is requesting $220 to fund Mary's procedure. This will cover the full cost of treatment, including supplies, medication, labs, and physician time. Zelia is a farmer from Malawi. She recently traveled to our medical partner’s care center, Kabudula Community Hospital. Kabudula is a rural community outside of the capital city of Lilongwe. The health catchment area serves roughly 350,000 people, but the health centers and the hospital are often poorly stocked and staffed. One of Zelia’s teeth has been causing her bothersome symptoms. Diet is an issue for dental health in Malawi, where sugarcane is prevalent. Also, there is little to no oral health education in Malawi and limited access to a dental professional. In fact, there are fewer than 20 dentists across the country. Fortunately, a visiting dentist will perform a dental extraction. A dental extraction is a simple procedure with few risks, and it will result in a significant reduction in her symptoms. Zelia is scheduled to undergo treatment on July 18. Our medical partner, World Altering Medicine, is requesting just $28 to fund the procedure. Deborah is a farmer from Malawi. She recently traveled to our medical partner’s care center, Kabudula Community Hospital. Kabudula is a rural community outside of the capital city of Lilongwe. The health catchment area serves roughly 350,000 people, but the health centers and the hospital are often poorly stocked and staffed. One of Deborah’s teeth has been causing her bothersome symptoms. Diet is an issue for dental health in Malawi, where sugarcane is prevalent. Also, there is little to no oral health education in Malawi and limited access to a dental professional. In fact, there are fewer than 20 dentists across the country. Fortunately, a visiting dentist will perform a dental extraction. A dental extraction is a simple procedure with few risks, and it will result in a significant reduction in her symptoms. Deborah is scheduled to undergo treatment on July 21. Our medical partner, World Altering Medicine, is requesting just $28 to fund the procedure. Dorothy is a farmer from Malawi. She recently traveled to our medical partner’s care center, Kabudula Community Hospital. Kabudula is a rural community outside of the capital city of Lilongwe. The health catchment area serves roughly 350,000 people, but the health centers and the hospital are often poorly stocked and staffed. One of Dorothy’s teeth has been causing her bothersome symptoms. Diet is an issue for dental health in Malawi, where sugarcane is prevalent. Also, there is little to no oral health education in Malawi and limited access to a dental professional. In fact, there are fewer than 20 dentists across the country. Fortunately, a visiting dentist will perform a dental extraction. A dental extraction is a simple procedure with few risks, and it will result in a significant reduction in her symptoms. Dorothy is scheduled to undergo treatment on July 17. Our medical partner, World Altering Medicine, is requesting just $28 to fund the procedure. Estar is a farmer from Malawi. She recently traveled to our medical partner’s care center, Kabudula Community Hospital. Kabudula is a rural community outside of the capital city of Lilongwe. The health catchment area serves roughly 350,000 people, but the health centers and the hospital are often poorly stocked and staffed. One of Estar’s teeth has been causing her bothersome symptoms. Diet is an issue for dental health in Malawi, where sugarcane is prevalent. Also, there is little to no oral health education in Malawi and limited access to a dental professional. In fact, there are fewer than 20 dentists across the country. Fortunately, a visiting dentist will perform a dental extraction. A dental extraction is a simple procedure with few risks, and it will result in a significant reduction in her symptoms. Estar is scheduled to undergo treatment on July 18. Our medical partner, World Altering Medicine, is requesting just $28 to fund the procedure. Phallin is a 21-year-old woman from Cambodia who works at a hotel. She has three sisters and four brothers. In her free time, she likes to listen to current music and watch movies on TV. Recently, Phallin sustained a fracture of her right clavicle. She sought treatment at a local hospital, and doctors performed an ORIF procedure, which fixates hardware on the bone to heal fractures. 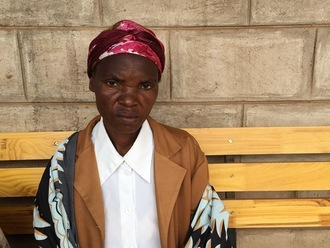 However, Phallin continued to experience mild discomfort in her right shoulder, so she came to our medical partner, Children's Surgical Centre (CSC). Surgeons at CSC will remove the hardware to help Phallin feel comfortable again. The surgery is scheduled for May 16, and CSC is requesting $143 to fund the treatment. Anoria is a farmer from Malawi. She recently traveled to our medical partner’s care center, Kabudula Community Hospital. Kabudula is a rural community outside of the capital city of Lilongwe. The health catchment area serves roughly 350,000 people, but the health centers and the hospital are often poorly stocked and staffed. One of Anoria’s teeth has been causing her bothersome symptoms. Diet is an issue for dental health in Malawi, where sugarcane is prevalent. Also, there is little to no oral health education in Malawi and limited access to a dental professional. In fact, there are fewer than 20 dentists across the country. Fortunately, a visiting dentist will perform a dental extraction. A dental extraction is a simple procedure with few risks, and it will result in a significant reduction in her symptoms. Anoria is scheduled to undergo treatment on July 21. Our medical partner, World Altering Medicine, is requesting just $28 to fund the procedure.